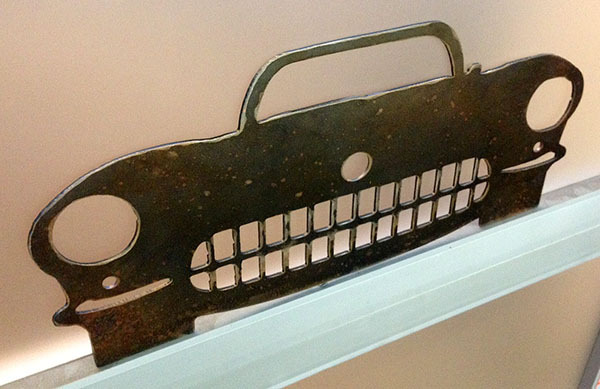 Here is a crusty cool cutout of the iconic 1957 Chevrolet Corvette's toothy front end. This is cut from 1/8 inch steel. I gave it a coppery, rusty patina, perfect for its new life on the side of a shed or in the garage. This wall sculpture is 28 inches wide by 11 inches tall. Have a favorite car front end or grill? Let me know and I'll make one for you!